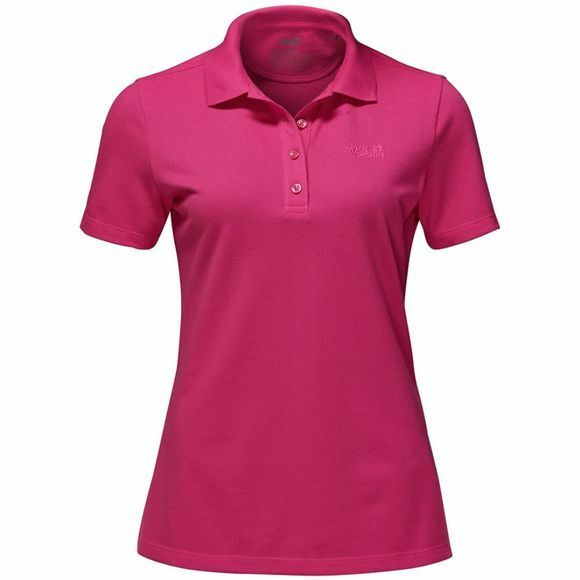 The pique structure of the Womens Pique Polo allows air to circulate between the shirt and your skin. This hybrid fabric consists of polyester and one third organic cotton, and Jack Wolfskin have combined the benefits of both. It is fast–drying, hard–wearing and has a pleasant natural feel.